Why is this C+D Award-winning dispenser nicknamed 'The Wolf'? Victoria Bull was dubbed ‘The Wolf’ – after the Pulp Fiction character – by her superintendent Ravi Patel due to her reputation as ‘the fixer’ at RP Healthcare’s Eltham Pharmacy. Mr Patel nominated Ms Bull for a C+D Award, claiming that no problem appears to be too small or too big for her. 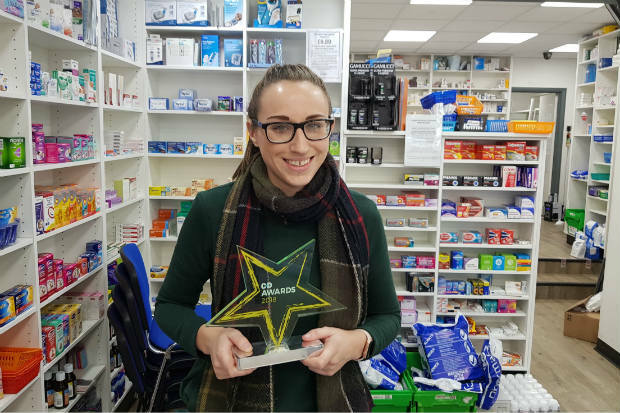 Whether it's filling in as a delivery driver to take vital medicines to patients in need, or fixing the pharmacy’s broken air conditioning unit, Ms Bull has shown her worth to the team – and certainly deserves the trophy she received at the C+D Awards in July. Listen to the podcast below to find out more about Ms Bull's dispenser experience and her ambitions for the future. You can subscribe to all of C+D's podcasts on iTunes or by searching 'Chemist+Druggist podcast' on your preferred android podcast app. In the award entry he submitted on Ms Bull's behalf, Mr Patel said there “is not one major problem or concern, in any of the four [RP Healthcare] branches, that she has not assisted in finding a solution” to. For example, Ms Bull recalls when the pharmacy’s air conditioning unit was broken last December, which meant she had to wear “latex gloves to try to keep [her hands] warm” while working in the “freezing” pharmacy. The company had been charged £250 for similar repairs on a previous occasion, but Ms Bull decided she would fix it herself, “because it was a job worth doing” and she had “a spare five minutes”. Ms Bull had no pharmacy experience prior to starting her role as a counter assistant, but says: “I set myself targets in any job that I do.” Whether it's managing the pharmacy's social media page, or helping out with information governance, she has achieved her goals. Her personal target was to begin working in the dispensary within six months of starting in the role. “Once I was in the dispensary, I wanted to give myself new challenges,” she says. She has since continued to “progress as well and as quickly as I can”. Ms Bull says she wants to “keep pushing” herself, as it “keeps me going every day”. Her long-term goal: to become the group’s area manager. Mr Patel says her attitude has been hugely beneficial for the pharmacy. Ms Bull has “redeveloped our holiday procedures”, created a “tailor-made holiday rota”, and even “revamped” the pharmacy’s dispensing process. 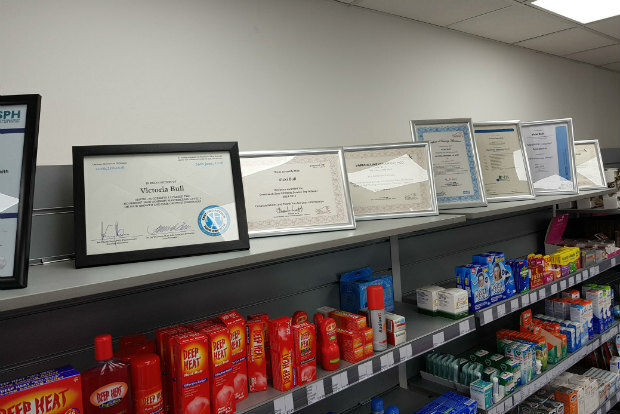 Having progressed from counter assistant to dispenser, Ms Bull is now working on her current ambition – training to become a pharmacy technician. This will mean that speaking to patients and “helping them” will be even more important. To prepare herself, she reads books in her own time to improve her customer service skills, but says “your best way of learning is getting stuck in”. Ms Bull also highlights the importance of learning from those around you in the pharmacy. “When you ask the pharmacist for advice, listen to [it] and take that on board – that’s how you learn,” she says. In addition, Mr Patel explains that Ms Bull supports his other pharmacy staff, and is a “co-mentor” to the pharmacy’s apprentice. Ms Bull says she encourages the team to learn “from the mistakes I’ve made”, as well as the things “that haven’t gone as quite as well as I thought they would”. Demonstrating shared learning like this is an effective way to develop the team, she says. Ms Bull discusses the importance of having a “good balance” when it comes to work and home life – although she concedes this can be difficult in community pharmacy. In particular, she recalls one occasion when she was “covered in mud” after playing football, but was required to go the group’s Brighton pharmacy to help “put everything back on the shelves” after a weekend refit. It isn’t just being busy in the pharmacy that impacts on her work-life balance. Ms Bull describes the need to “detach” from work at times, and says she struggles to leave her concerns for sick customers behind at the end of the working day. She emphasises that pharmacy staff should focus on giving patients “the right amount of care”, but adds that you need regular breaks to “take yourself away from that and come back fresh”. This ensures your “head is in the game” and not “stuck somewhere else”. Ms Bull has a long day – as her two-hour commute means she works “a 12-hour day”. But she says she keeps “coming back” to the pharmacy as “there’s something about it I love” that keeps her motivated. The secret to her success? She “loves the job” and encourages pharmacy staff members to “just enjoy yourself” at work. 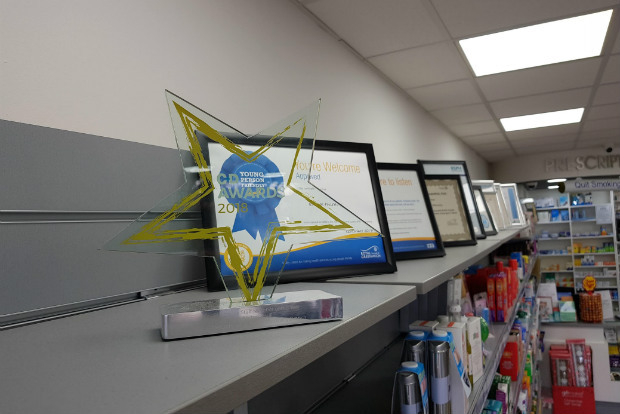 Could one of your team win the C+D Award for Pharmacy Staff Member of the Year in 2019? Entries for all 14 categories – including the new Locum of the Year Award – are now open, so find out more and enter below. Could your colleague win Pharmacy Staff Member of the Year at the C+D Awards 2019? Awarding the individual is comendable and I share the sentiment that the owner should be doing their job to ensure their talent is kept safe. Shame on them. for the person giving me the thumbs down , i think i will perform some open heart surgery in the high street this afternoon , i've got my toolkit ready ,i may even get a C&D award , rules and regs what the heck ? interesting reading , for an unqualified person to fix/service a commercial air conditioning unit breaks every Health & Safety rule going , what was the employer thinking allowing this to happen ?